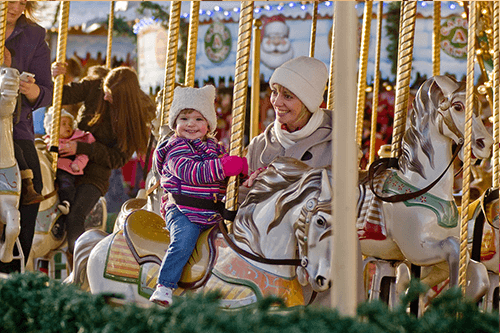 With only six weeks to go until Christmas, there is plenty of festive family fun to be had to get you in the spirit. With rides galore to keep kids of all ages happy, there are gentle rides and attractions for children as young as two in Santa Land, and more thrilling rides like the Haunted House for teens throughout the rest of Winter Wonderland. Most of the festival site is buggy-friendly and there are baby-changing facilities at various disabled toilets across the site. Ice skating, Zippos Circus and The Magical Ice Kingdom are particularly good if you have little ones. Yes I have! Meeting Father Christmas is free and children receive a small gift. 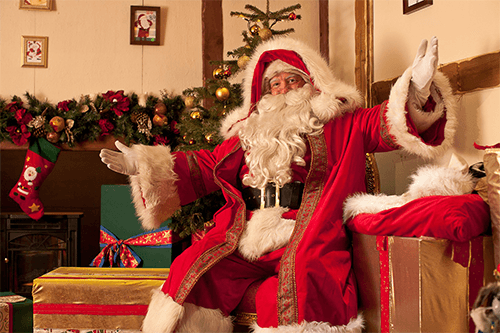 Visit Santa and his magical elves in his Santa Land grotto every day from 10am to 6pm – except Christmas Day; he’s very busy then! An official photographer is on stand by to take souvenir shots that are available to buy on the day, but you can also take your own photos if you prefer. Winter Wonderland is busiest during weekends, so be prepared to queue to get in and to get onto rides during these peak times. If you want to escape the crowds, visit on weekday mornings and afternoons and during the school holidays. It can get pretty chilly in the winter months and since the festival is an open-air event, we’d recommend wearing a hat, scarf, gloves and a warm coat. This is especially important if you’re visiting the Magical Ice Kingdom, chilled to a frosty -8°C (17.6°F). Brrr! There is a discounted rate on off peak tickets ALL DAY on the following dates: 24th Nov, 25th Nov, 26th Nov, 27th Nov 2014 and 2nd Jan 2015 – tickets are approximately 30% cheaper on these dates. Alternatively, get a group of friends together and get a 10% discount (available to groups of 20 or more). 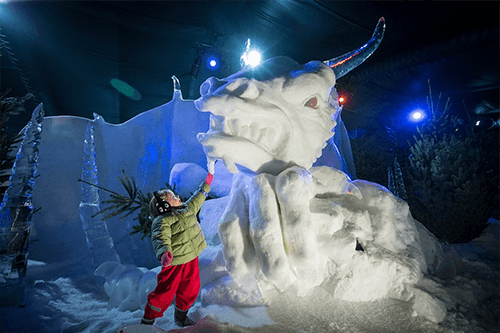 Children 2 and under are free with only one exception – the Ice Bar! 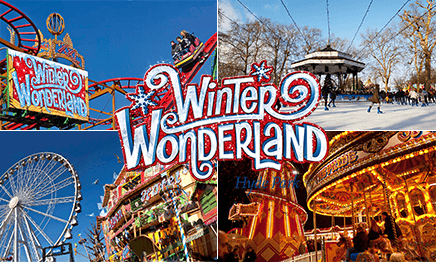 Winter Wonderland is free to enter but certain attractions get fully-booked during peak periods. Buy tickets in advance for ice-skating, The Magical Ice Kingdom, Zippos Circus and the Giant Observation Wheel. Rides and attractions are accessed by tokens, which cost £1 each and are available at the token booths dotted around the site and cannot be bought in advance. Children’s rides start at £2, while other rides start at £3. If you’re looking for gifts, the Christmas market features more than 200 fairy lit wooden chalets in the Angels Christmas Market and Yuletide Market, selling everything from handicrafts to traditional Christmas decorations, accessories to culinary delights. A ride on the iconic Giant Observation Wheel and finished off with a spectacular show from Zippos Circus in the Mega Dome!